The South China Sea question which has dominated Chinese state-run media for months may appear to have very little to do with what happens in China’s counties and townships. After all, the former is high politics, something of international importance, while the daily goings-on in China’s smaller cities and villages are pretty tame when compared to aircraft carriers and military overflights. But Beijing’s behavior concerning the South China Sea contretemps very much reflects patterns in Chinese local politics. That’s because both issues involve conflicts over land, and how they’re often resolved locally in China. 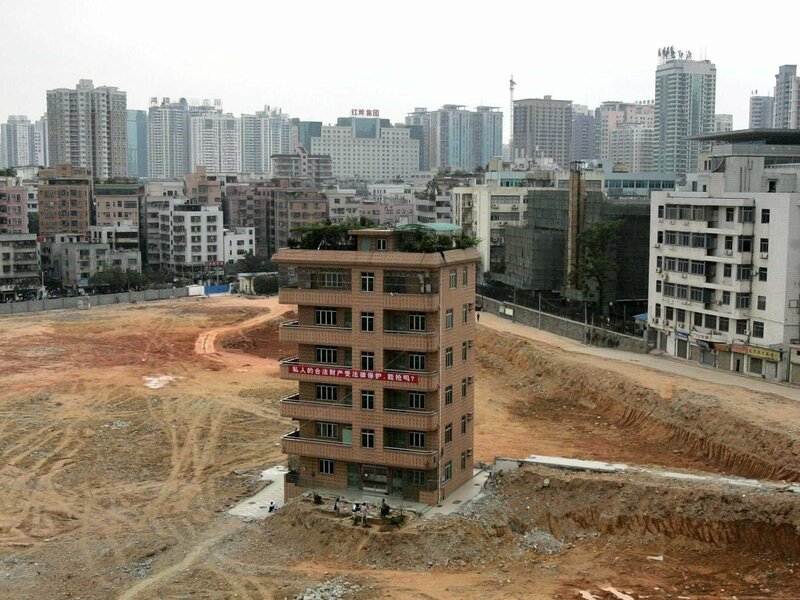 It’s impossible to overstate the importance of land to Chinese citizens. The government isn’t shy about seizing it when it deems such actions necessary, while residents (especially farmers) resist such grabs because they see their homes as China’s real currency, providing the main measure of security and financial opportunity in the country these days. Land also confers local status in China, and reflects a reputation for wielding power. Lose your land (without adequate and visible compensation), and you’re exposed as weak. Disputes over land ownership also expose how local power is often employed in China—and why local attitudes and actions about land issues mirror what’s been transpiring in the South China Sea in recent months. For a start, few cases of disputes over territory and property are legally arbitrated. Arguments over property or access or ownership aren’t resolved by mutual consideration or compromise between the parties; they’re decided in a zero-sum way by an individual or political network whose power is simply greater and which imposes its view. For example, a neighbor in a local community who decides that property set aside for the common use of residents is actually and solely theirs—and proceeds to build on that section, grow crops on it, rent it out to others for their use in exchange for payment—does so because of the influence that person believes that they possess and others don’t. The person looking to grab your land might be your neighbor in a proximate sense, but they enjoy wider and deeper ties to local power than you do, and are therefore practically and politically quite different from you. That separation is sustained by what they can get away, and what you’re powerless to prevent. And rarely does anyone with power in China wait for permission. For those foolish enough to push the issue (more on that below), local officials and their allies inherently enjoy political protection for such behavior. Law is an extension of the State, not an instrument of the citizenry except in special instances. The local judges and legal authorities that interpret the rules and determine which behavior is illegal are not independent agents, but tend to obey instructions from whoever holds greater authority. That’s why those with political connections work hard at convincing those with influence to accept their point of view before a judgment is rendered. On the local level in China, it often involves inviting local officials and judges to banquets, offering gift cards for shopping, and attempting to strengthen existing ties through other forms--what is known here and elsewhere as graft, and in China in particular as simply being a good friend to power. Anyone looking at the South China Sea question will note the similarities, because that’s much of what Beijing has been doing in the run-up to the decision at The Hague (without the graft part): Working the diplomatic and academic circuits, seeking to curry favor and endeavoring to make its views on the South China Sea dispute indisputable. The Chinese leadership seeks to locate friends and allies abroad, believing that the latter’s support will exert pressure on the court proceedings in much the same way that local officials in China seek to influence judges. In China, law and land are simply parts of the larger local political process. Of course, some people in China do conceive of law as something above power, and therefore capable of restraining unilateral action or providing what they see as a just remedy. But those people don’t matter because they lack the clout to make courts play that role, or find ways to have arbitration become the most common recourse. 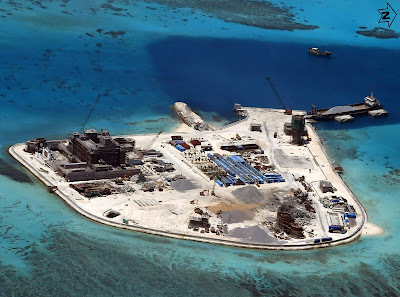 So submitting the issue of territory in the South China Sea to an outside body to render a judgment is contrary to the typical way matters about land are decided in China. That’s also one reason why Beijing has made it clear that it plans to ignore whatever the International Court of Justice rules: The process makes little sense to officials used to getting their own way because their capability surpasses other claimants. The argument isn’t about right, but might—which party has more power, not the better argument. There’s no need to ask for a judgment, because politics has already rendered an outcome. Furthermore, continued resistance by residents is seen by many officials as an effort to subvert political authority. That’s why activists or local residents who mistakenly think that they can challenge power by standing up to it can end up incarcerated. In the eyes of many Chinese officials, local opposition isn’t an indication that the dispute hasn’t been resolved well, but that those resisting are refusing to accept the political reality of lacking the requisite power to alter a predetermined outcome. That goes for countries as well as Chinese citizens. So while an authoritative editorial in People’s Daily today speaks quite correctly of a China that “will never agree to the national humiliation of the past produced by foreign powers,” the real lesson conveyed by Beijing in recent months is that it plans to continue to treat the dispute over territory in the South China Sea as it would any argument over land here locally. Apparently, it expects other countries to understand and respect that approach.